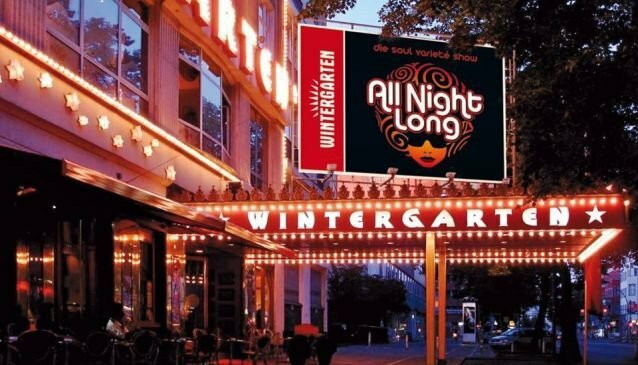 You'll find music, magic, comedy, and drama in the Wintergarten theatre, a rich red-furnished cabaret theatre speckled with stars on the ceiling, with table seating for up to 600 guests. The Wintergarten Theatre opened in the early 1990's, and since then, it's been a warm and welcoming home for cabaret, vaudeville, 20's glamour, and wonderful music. Today, you can see famous German singer Max Raabe strut his stuff or experience a thrilling combination of Mozart classical music, acrobatics, and break-dancing. In summer 2014 there's 'Der Helle Wahnsinn: berlinesque acrobatic revue': a dance, music, and acrobatic spectacle based in the 1920's after World War I. As an added bonus, with a Berlin Welcome Card, you'll get an impressive 25% off ticket prices. The atmosphere here is unbeatable: classy, exciting, and a little bit quirky.